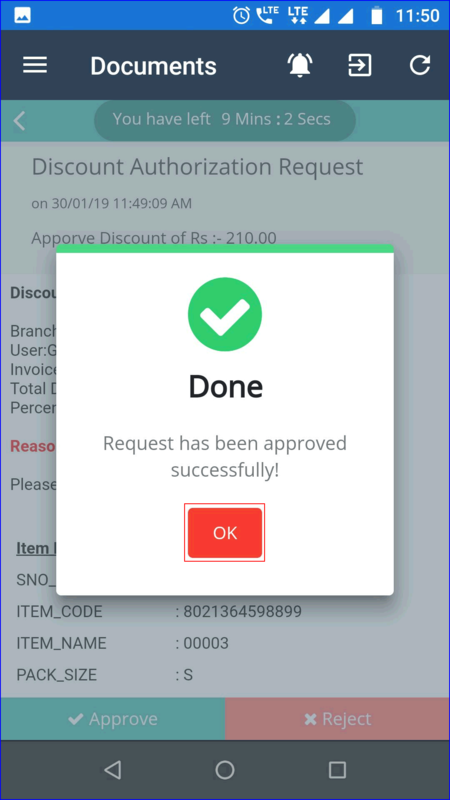 Now you can setup the notification type to approve the discount requests via LOGIC Mobile App. 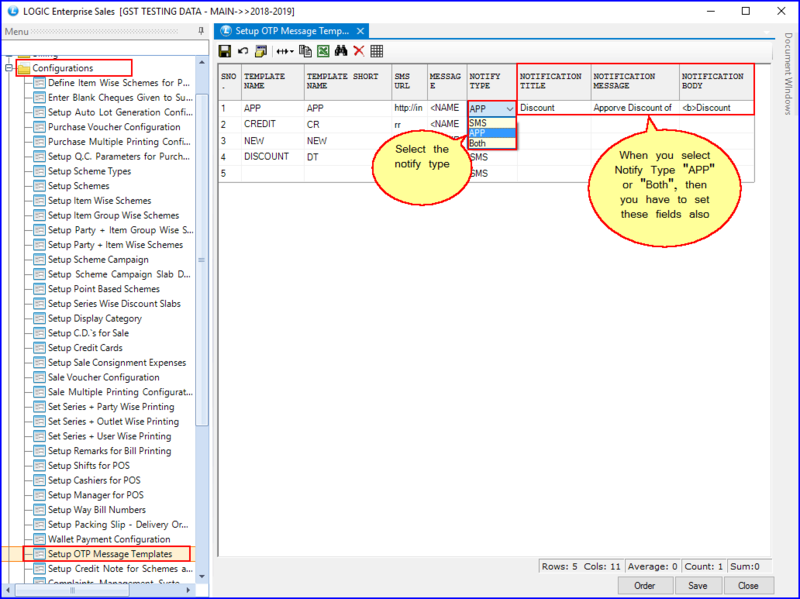 In the “Setup OTP Message Templates” screen, you can set the “Notify Type” as SMS, APP or Both now. After selecting the APP option, you will receive the Approval Requests in your LOGIC Mobile App. When you select ‘Both’ option, you will also receive OTP confirmation message on your registered mobile number and approval request notification on LOGIC mobile app. 1. Notification Title: You can set the Notification Title for the approval request. 2. 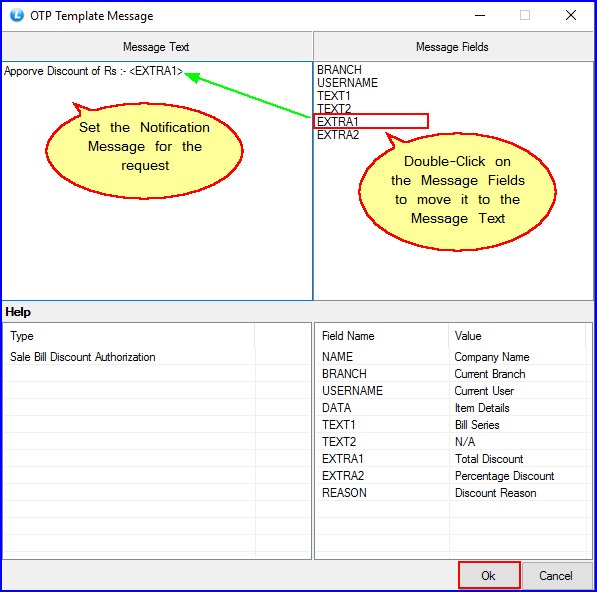 Notification Message: Set the Notification Message that will display as a request message. 3. Notification Body: Set the Notification Body of the Approval Request. 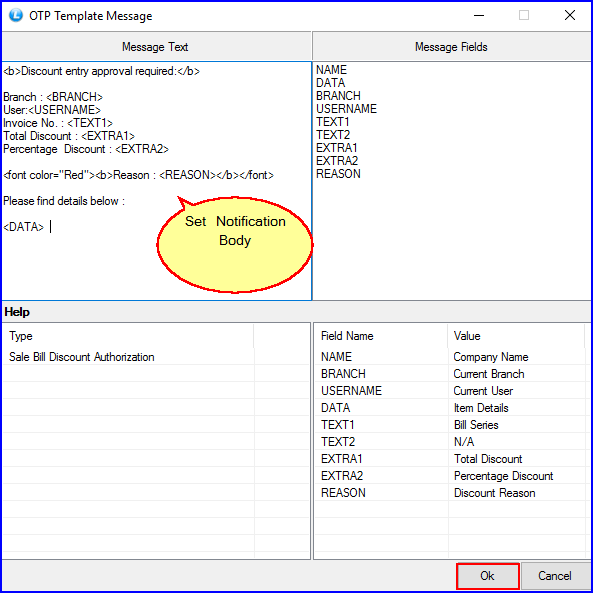 Select the column attribute & Press spacebar on your keyboard to open ‘OTP Template Message’ screen. 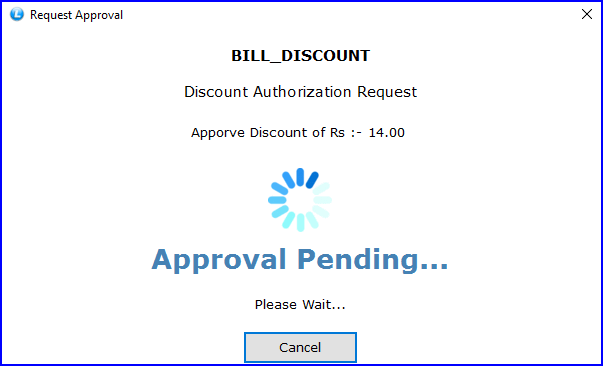 Firstly, you have to provide access to the users that can Approve the Discount requests via their LOGIC Mobile App. 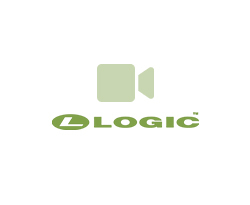 Click here to know How to enable users to receive requests on LOGIC Mobile App? 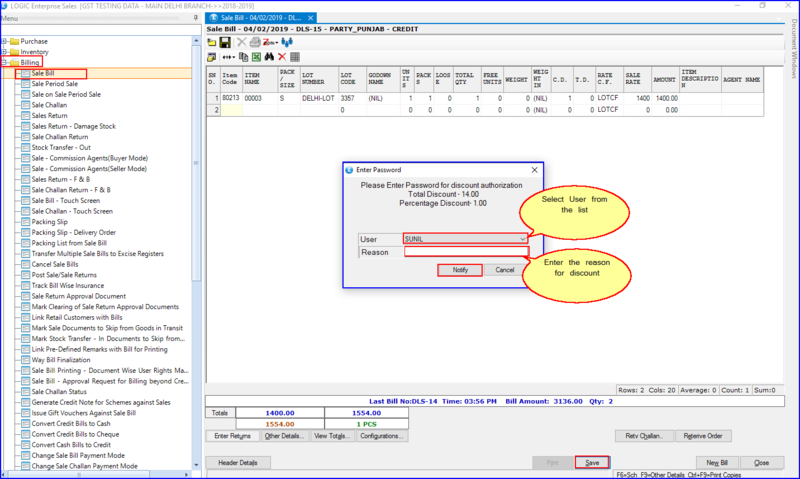 You can also setup discount limit authorization for the users in “Setup Branch+User Wise Discount Limit Authorization” window. 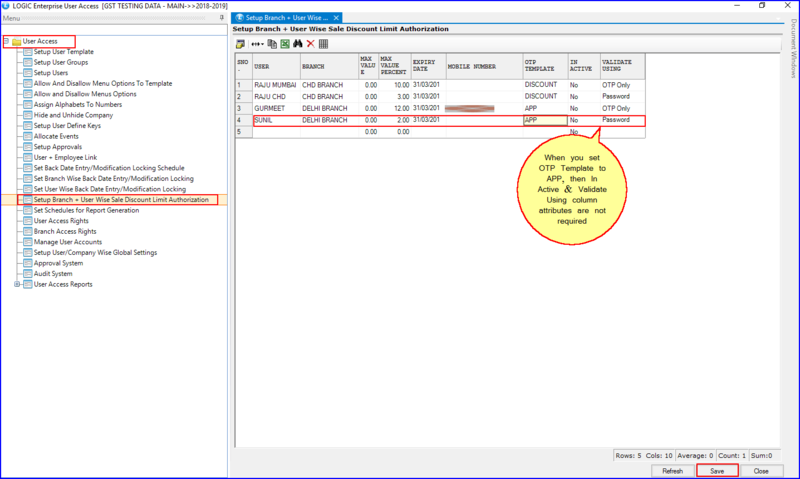 When you set the OTP Template as an App, then there’s no use of In-Active & Validate Using column attribute. When the user will click the Notify button, Request Approval screen will appear. 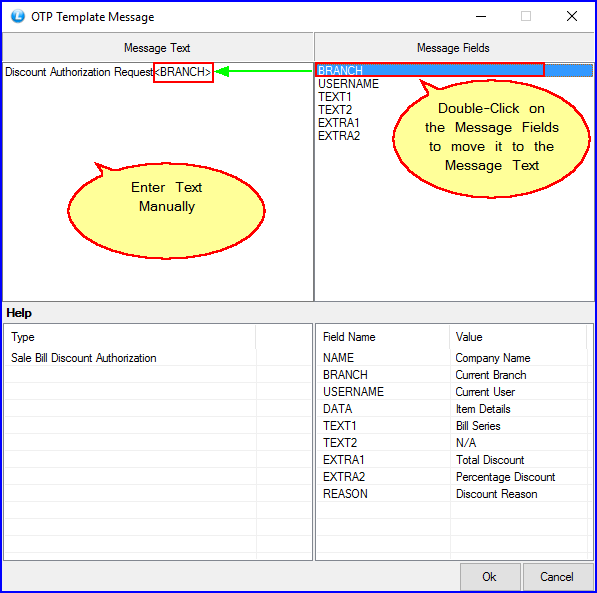 The notification will be sent to another user from whom discount approval is requested. They have to open their LOGIC mobile App, and then go to the Approval Request Folder. Open the discount request and click on the “Approve” button. The requested approved message will get displayed on the screen. 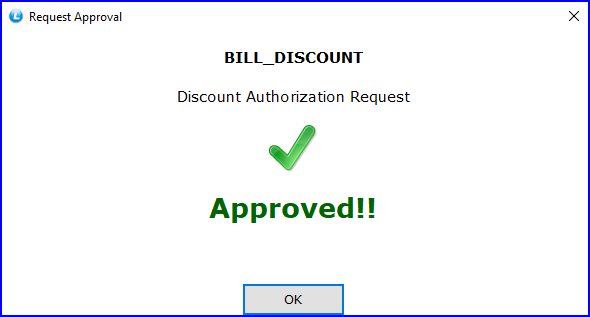 On the computer screen of the user at the other end, following Approved message will get displayed after you approve their discount request.